William "Bill" L. Henry, Jr.
William “Bill” L. Henry, Jr., of Birmingham, passed away on Thursday, October 18, 2018, at the age of 68. Bill had a deep and abiding and unwavering love of his family. He spent countless hours coaching and supporting his daughters’ softball teams and dance productions. Bill loved music and played in both his high school and college marching bands. He sang in the men’s chorus at Woodlawn High School and continued to perform with The Warbler’s Club of Woodlawn serving in a number of leadership roles including show chairman. 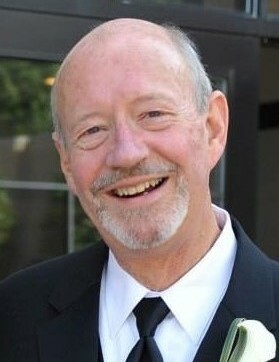 Bill loved watching and playing sports and coached and played on volleyball and softball teams much of his adult life. In addition to these activities, Bill enjoyed designing and building sets and props for local theatre and dance performances. Bill graduated from Woodlawn High School in 1968 and went on to earn his B.S. in Business Administration from Auburn University. He began his career with Blue Cross and Blue Shield of Alabama in 1973 and retired as a Director with Cahaba GBA, a subsidiary of Blue Cross, in 2010. Bill was a member of Riverchase United Methodist Church. Bill is survived by his wife of 34 years, Barbara Henry; 2 daughters, Krista Heinisch (Chris) and Jordan Henry; 1 granddaughter, Ava Louise and was looking forward to greeting a second granddaughter, Caroline Haynes, in December of this year; 2 sisters, Linda Henry and Carol Gamble; and 3 nephews, Paul, Nathan and Spencer. The family will receive friends on Tuesday, October 23, 2018, from 1:30-3PM at Riverchase United Methodist Church. The service will follow at 3PM with Rev. Wes Savage officiating. Interment will be at Jefferson Memorial Gardens, South. In lieu of flowers, donations may be made in Bill’s honor to Riverchase United Methodist Church – Backpack Ministry.